The Monetary Protocol integrates Nobel Prize winning economic theory with blockchain technology. MERO and MCHI are each avaialble for trading on www.TokenJar.io and forging at forging.monetarycoin.io. MonetaryCoin is an advanced cryptocurrency series named after a Nobel Prize winning economic theory called "Monetarism." How does it work? If the economy grows, then more MonetaryCoins are available to forge (i.e. mine). If a country or currency union reports GDP, it qualifies for a MonetaryCoin. For example, coins corresponding to China (MCHI) and the Eurozone (MERO) are available now. How is it advanced? MonetaryCoin securely imports economic data (via an "oracle"), coin ownership determines forging power ("proof of stake") and one can choose to share personal information (or not) when sending coins ("AML-KYC"). A new foundation will be managing the development of the MonetaryCoin and oversees the oracle. 100% of MonetaryCoin tokens are always made available to the community: 10% via an initial distribution and 90% via forging. A MonetaryCoin distribution events take please in each of 180 separate 24 hour blocks. Participants may send ETH to the smart contract corresponding to a token for a 24 hour period and then the related coins will be ratably available to be claimed at the end of the 24th hour. In each window, a fixed number of tokens are available for distribution. After a window closes, all tokens from that window may be claimed by participants in proportion to their respective ETH contributions. For example, if each window were allocated 1,000 tokens, and a total of 100 ETH were sent to a window, then each participant in that window would be allocated 10 tokens per one ETH sent. Participants may send ETH to an open window or to a future window. The regular distribution amount is doubled in each of the first 7 windows when a MonetaryCoin Series member is distributed. With 19 member countries and approximately 11.28 trillion Euros of money supply, equivalent to approximately 13.5 trillion USD, the total initial supply of coins will be 112.8 billion MERO. 11.28 billion MERO were made available in the first 180 windows. The token is open for proof of stake forging today. With approximately 174 trillion Yuan of money supply, equivalent to approximately 27.5 trillion USD, the total initial supply of coins will be 1.74 trillion MCHI. 174 billion MCHI were made available in the first 180 windows. The token is open for proof of stake forging today. Oracle: Why does MonetaryCoin tie the slow moving market for goods and services (GDP) to the hyperactive market for cryptocurrency? This connection promotes long run price stability in a currency. PoS: Why does the coin allow anyone to forge with very little up-front cost? This feature may allow for a fairer and more inclusive allocation of coins. AML-KYC: Why does MonetaryCoin enable those with compliance obligations to meet them? Institutions sidelined by regulatory concerns may now transact with greater confidence. Foundation: Why have a foundation? The foundation maintains the oracle, the key component of forging supply governance. Milton Friedman won the Nobel Prize in Economic Sciences in 1976; his theory is referred to as "monetarism." It's not a complete theory, but all central bankers learn and apply parts of it. If the economy grows 3%, there are 3% more coins available for forging; that's monetarism at work. It's a clear and simple rule that will not work for the entire money supply - but has practical application for a percentage of it. What percentage? We estimate 1% of total money in the economy (i.e. M2). Owning coin creates forging power, not specialized computer gear. If you have a PC you can forge (i.e. mine) just as well as the next person. Forge and earn a fixed rate multiplied by your percentage ownership of the network, and then multiplied by the coins available in the period. Simpler forging with the potential to produce fairer and more inclusive results: less power, less gear, less guessing. Forging functionality is embedded into the token smart contract. DApp is deployed and ready to use. The AML-KYC data are not visible on the blockchain because they are encrypted and stored off-chain. This feature reduces the potential network drag caused by each address carrying increasing amounts of otherwise irrelevant AML-KYC data. 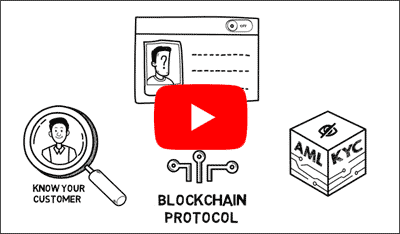 A hash of the AML-KYC data is stored on the blockchain but only the recipient address owner can attach the hash to the off-chain data and decrypt its content. This reduces the risk of exposing sensitive information to unrelated parties. For completeness, a sender may abandon its wallet address and create a new one after the transaction. MonetaryCoin is compliant with ERC-20 (EIP-20) and has three key features and a supporting foundation. First, coins are forged via a Proof-of-Stake approach. Second, stakeholders may elect to add (and later delete) personal information to satisfy anti-money laundering, know-your-customer regulations. Third, once fully distributed, the rate of change in the supply of a MonetaryCoin parallels the rate of change in the GDP of a subject country (monetarism). Monetarism's limitations are well understood, and today most central bankers instead apply a variety of tools in pursuit of an inflation target, rather than the simplified money target only. The coin serves as a simplified alternative to domestic fiat so that residents may select away from the short-run decisions of their central bank while still retaining money tethered to the long-run progress of the economy. Because the starting number of coins is capped at not more than 1% of the current M2 per country, MonetaryCoin is designed as a value-added companion to an existing money supply.